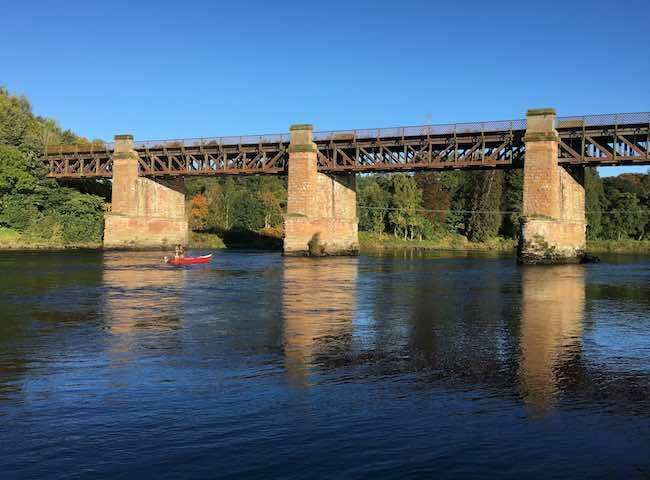 There are many old bridges that span the Tay on many of the famous salmon fishing venues. There's something special about the sandstone architecture of an historic Tay bridge. 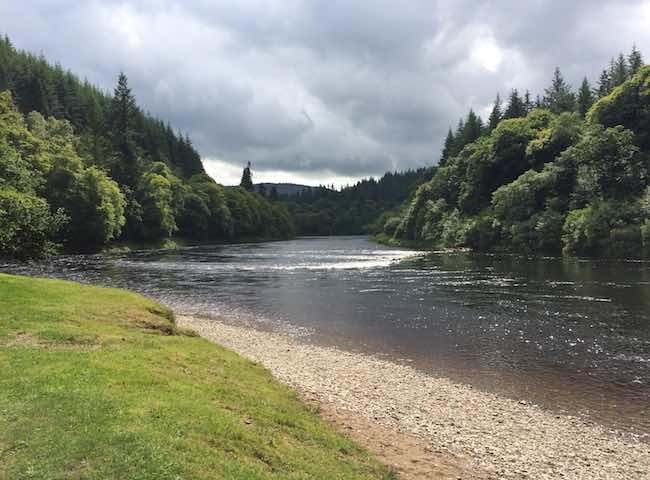 Here's a look at the mighty Tay near to the popular town of Dunkeld. 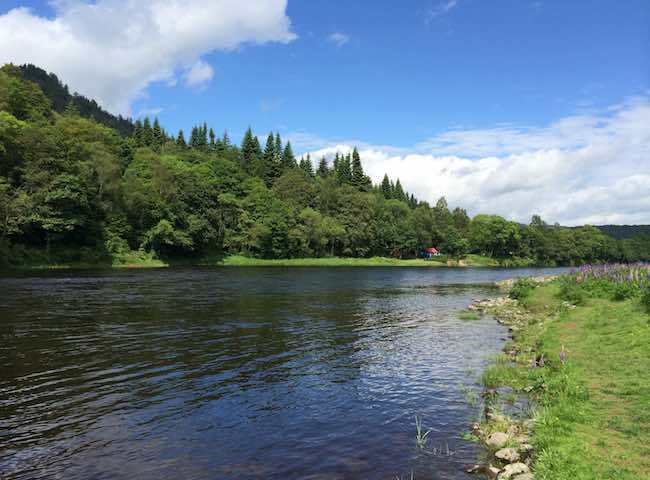 This highly scenic area of the Tay Valley is a great one for hosting your salmon fishing event on. 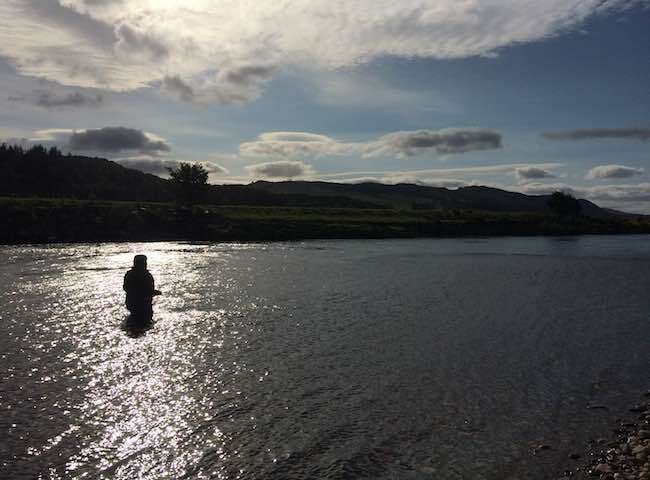 A big part of the enjoyment of Scottish salmon fishing is to be able to relax in such fantastic natural surroundings. I often refer to this as 'river therapy'. 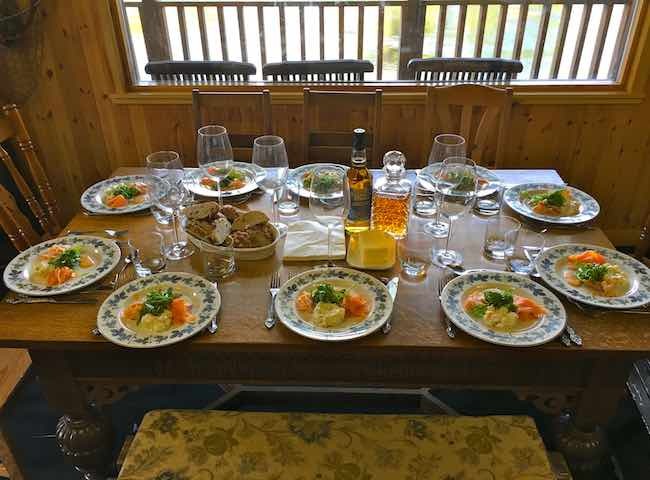 Here's a perfectly set lunch table on a salmon fishing event day in one of our many luxurious River Tay salmon fishing huts. Here's a lovely shot of the River Tay showing its outstanding natural beauty. Book a salmon fishing event for your business associates and experience this natural environment for yourselves. 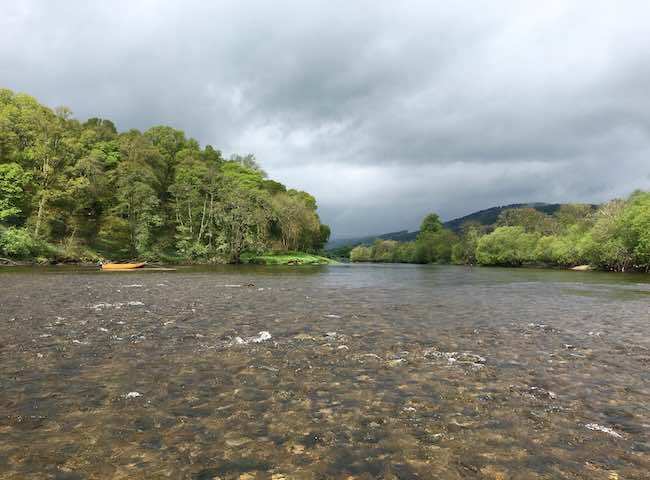 Each year heavyweight salmon are landed on the River Tay by visiting salmon fishers. This 27 pounder is a fine example of one. Treat your business colleagues to the chance of an encounter with one of these perfect specimens. The beautiful Fonab Castle in Pitlochry makes an ideal base for your River Tay salmon fishing event. Pairing this 5 star castle hotel up with a top River Tay salmon fishing venue assures the ultimate fishing experience. Here's a beautiful scene from the River Tay. 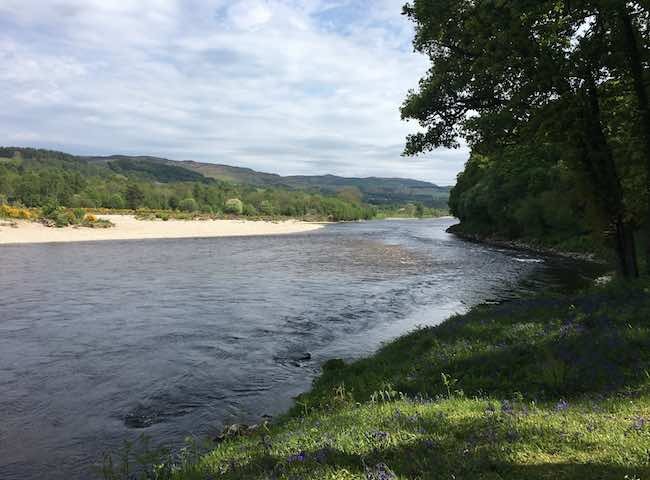 All seasons on this majestic Scottish salmon river have their own natural magnificence but non more so than during late Spring. 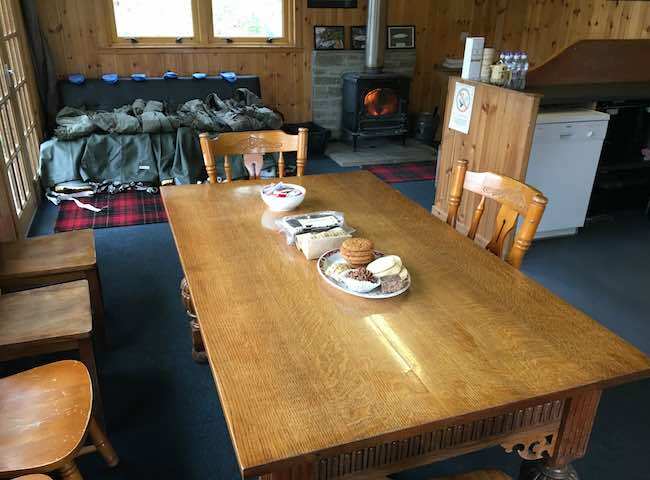 Here's the luxurious interior of a well maintained River Tay salmon fishing hut. Having access to beautiful riverside huts assists greatly in the delivery of a professionally organised salmon fishing event experience. 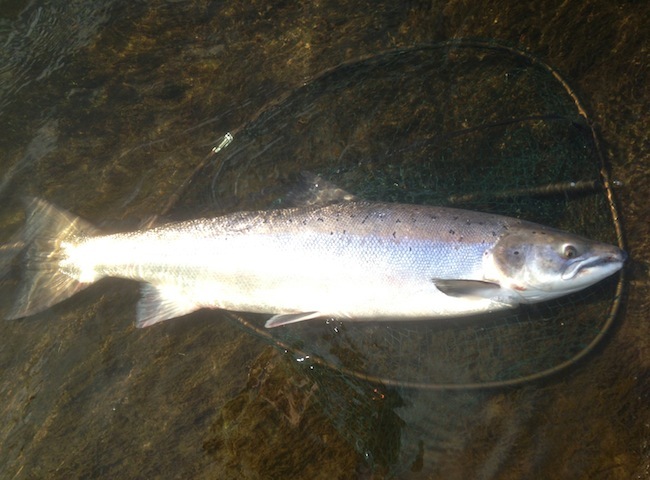 Here's another perfect example of a fantastic fresh run Spring salmon from the River Tay. 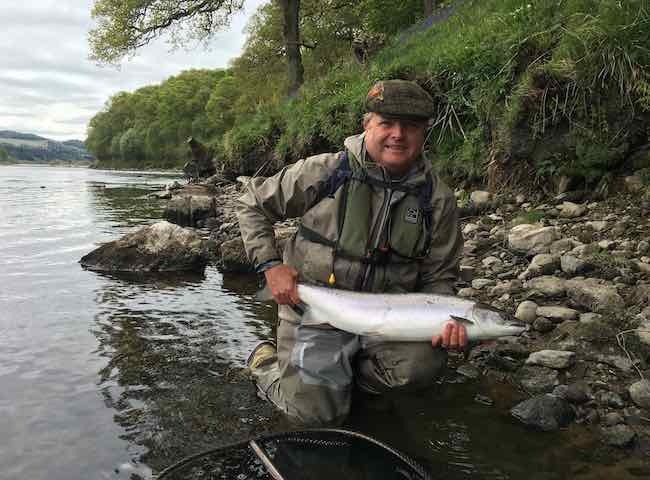 This Austrian client was absolutely delighted at catching this perfect 15lbs specimen last week. Here's a lovely moody sky fishing scene shot from the River Tay with a traditional Tay cobble fishing boat in the distance. 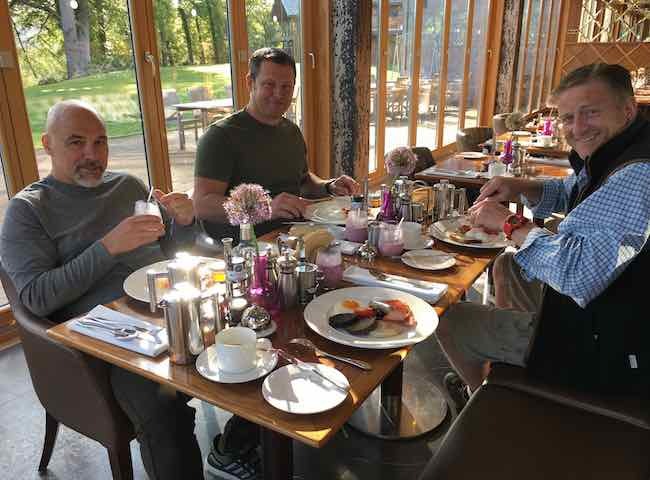 Put yourself and your colleagues in the picture via a River Tay salmon fishing event.